When will be Street Science next episode air date? Is Street Science renewed or cancelled? Where to countdown Street Science air dates? Is Street Science worth watching? 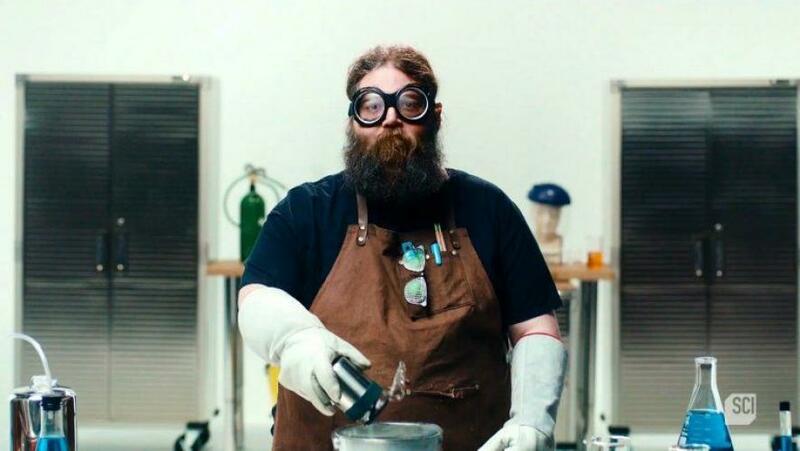 Street Science focuses on unique experiments involving chemistry, fire and explosions, among others, caught in slow-motion footage. It features "science guy' and storyteller Kevin Delaney as he leaves his lab behind and hits the streets to conduct "larger-than-life demos" combining "scientific method with curiosity and plain old-fashioned ingenuity". The experiments will include creating a man-made fire tornado, turning leaf blowers into homemade hovercrafts, impressing a crowd by making an instant nitrogen cloud and visiting a salon to share a surprising use for its hydrogen peroxide.Delaney's sidekick Darren Dyk will capture all that action with slow-motion video and other camera techniques giving insights into the science we normally couldn't see. Kevin and his team of experts try to build the world's largest and most powerful water gun and test it to see if the mega weapon has the muscle to shoot through concrete. Kevin and his team of experts investigate how a basic backyard grill can make a huge explosion. Using cutting-edge science experiments, they test which gases make the biggest inferno. Kevin and his team of experts use cutting-edge experiments to investigate the hidden dangers of a car crash, and if everyday objects can stop an arrow fired from a high-powered crossbow. Kevin and his team of experts test the laws of gravity in a series of wild, Galileo-inspired experiments. Street Science next episode air date provides TVMaze for you. EpisoDate.com is your TV show guide to Countdown Street Science Episode Air Dates and to stay in touch with Street Science next episode Air Date and your others favorite TV Shows. Add the shows you like to a "Watchlist" and let the site take it from there.